Your list of wedding costs keeps growing, and it sure seems like your budget is shrinking! One place where there is potential for creatively keeping costs down is in the floral department. An increasing number of brides are going the DIY route and taking floral matters into their own hands. If you’re brave and have hours to spare, take a leap into Pinterest for an overwhelming amount of DIY wedding flower ideas. In San Francisco we are lucky to have the bounty of the San Francisco Wholesale Flower Mart. With a little imagination and some elbow grease from your bridesmaids, you can pick out some gorgeous blooms and DIY your wedding into Instagram fame. Choose local, hardy, seasonal flowers. Don’t expect tulips to be affordable for a fall wedding, and know that even though they are gorgeous and smell better than anything, delicate peonies will send your budget into the red and be wilted before the last dance. 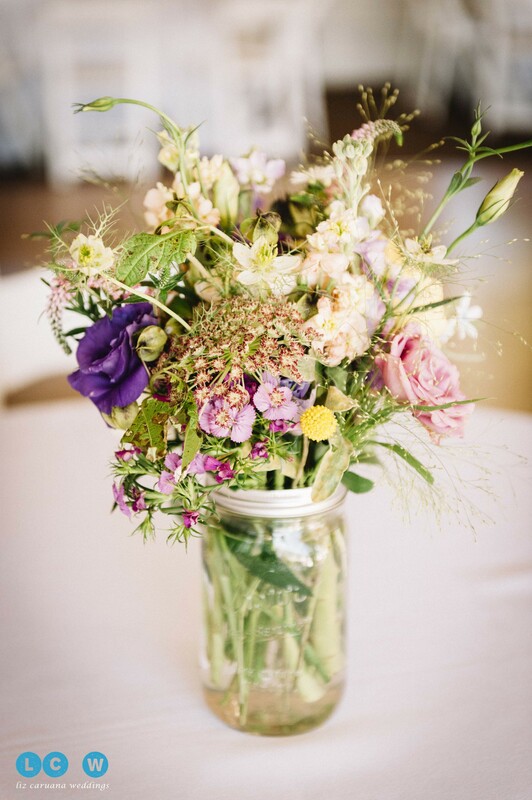 Pick flowers that are easy-to-use in floral arrangements. Steer clear of flowers that rely on their stems: no orchids or Gerber daisies, okay? Some cost-saving centerpiece options include: Use single blooms or smaller groupings of flowers instead of elaborate, expensive arrangements. Or, consider foregoing floral centerpieces altogether. (Which of course is a drought-friendly option for us Californians!) You could opt for a grouping of framed photos, a collection of driftwood, seashells, or candles. The possibilities for non-floral centerpieces are endless! Another option is going the DIY route for your centerpieces, but hiring a pro for your bouquet and boutonnieres. Also, don’t discount the natural beauty of your selected location. Maybe you’ve chosen a venue that speaks for itself! Beautiful settings surround us here in the Bay Area, hopefully you’re taking advantage of our fair city! Booking with Liz is easy. Check out how to book your Candid Documentary San Francisco Wedding and Engagement Photographer session here. Or just contact Liz here. Phew, you found the perfect wedding dress. Congrats! But now you need to decide: to veil or not to veil? The possibilities are vast. Do you want a cathedral-length veil with cascades of antique lace following you down the aisle? Or how about a fun and flirty birdcage for a vintage vibe? Or maybe you’re considering skipping the veil altogether because your hair is just. that. good. Full-length, blushers, mantillas, poufs–what to choose? Relax, I’m here to help. First, familiarize yourself with all of your choices: look at different lengths and styles. The type of ceremony you’re having will probably help narrow down the options, too. If you’re having a traditional church ceremony and a dress with a train, you’ll probably go for something long with a blusher. If a Napa vineyard is your venue, maybe you’ll choose a shoulder- or elbow-length veil. If you’re opting for City Hall, a fascinator is a chic choice. Once you know all your options, think about what will work best with your dress. If your gown is elaborate and detailed, something simple may be best, so as not to detract from your dress’ wow factor. Is the back of your dress a stunner? Then don’t cover it up with a full-length, embellished veil! Also think about other embellishments to add a twist–maybe a jeweled hairclip or some fresh flowers? Anything else that will make you feel like a princess! The point is that it’s totally your choice and that there are no rules! Location, location, location! Where will you get married? This will be one of the most important decisions you’ll be making–now that you’ve already chosen your partner, of course! At this point you probably already know the answer to this question: Do I want to get married in a church? If the answer is yes, you’ll also need to find a reception venue. If the answer is no, why not keep it simple and do the whole shebang at one venue? Doing the whole event in one location makes for an easier-to-plan, simpler-to-pull-off event, IMHO. But both options have their benefits, and it really comes down to what matters to you as a couple. 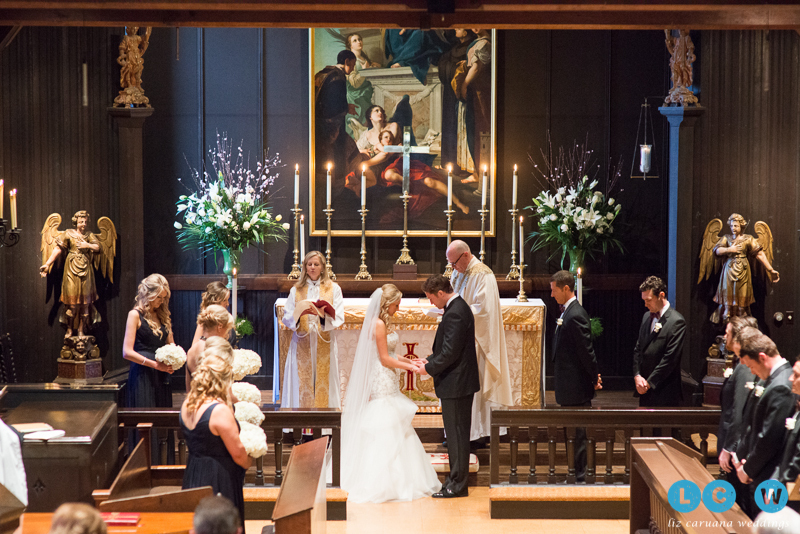 If you have your heart set on a church wedding, you’re probably honoring your faith and your family traditions, which is a meaningful way to begin your wedded bliss. Once you’ve picked a date with your church, you’ll need to secure a reception site. Carefully consider the distance from the church to the venue. You don’t want guests–or the bridal party for that matter–to be spending too much time traveling between venues. Every minute of this day is precious, and your guests want to spend as much time honoring you as possible. If you choose to do the whole event in one spot, you’ll definitely have an easier-to-manage wedding day–for your guests, your bridal party, and your vendors. Sticking to one spot gives you more time for photos, and more quality time with your peeps. Consider one of the amazing sites the beautiful Bay Area has to offer. Wine country has stunning locations for weddings, or if you’re more of an urban girl, consider the de Young! Follow your heart when you make this decision–it’s gonna be the best day of your life! I recently had the opportunity to meet in person with the top wedding and event planners of 2015. These individuals and teams are spectacular. They all go above and beyond and I could not be happier to recommend each and every one of them to help you with your wedding planning. Every week I will be featuring a full interview with each company, but below I have some highlights of each of them. Frederick Sullivan and Jaime Botello are the talent behind the company. They cater to the LGBT community and are always trying to make theirs a “wow” event, paying close attention to the clients requests and needs, and always strive to give more of themselves so they can truly feel proud of what they’ve created for their clients. Kristen Seaholm is the Wedding and Event planner at Solage and believes that trust is the core of job. She continually strives to create an open relationship with her couples and maintains that relationship with monthly conversations before the day of the event. She especially loves seeing all the hard work she and the couple have put into the event and making it as special as it can be. Sanford Marshall has been in the event planning business since 1998. He is a great listener and feels it’s important to involve each individual couple in the planning process to ensure the most successful outcome. Connecting with his clients is critical to him as it allows for them to trust him and be open minded about his vision for their wedding day. Corina Beczner is the brains and the brawn behind Vibrant Events. She is truly passionate about what she does and puts her full self into it. Her clients are sweet and kind just like her and range from all over the Bay Area and the world. 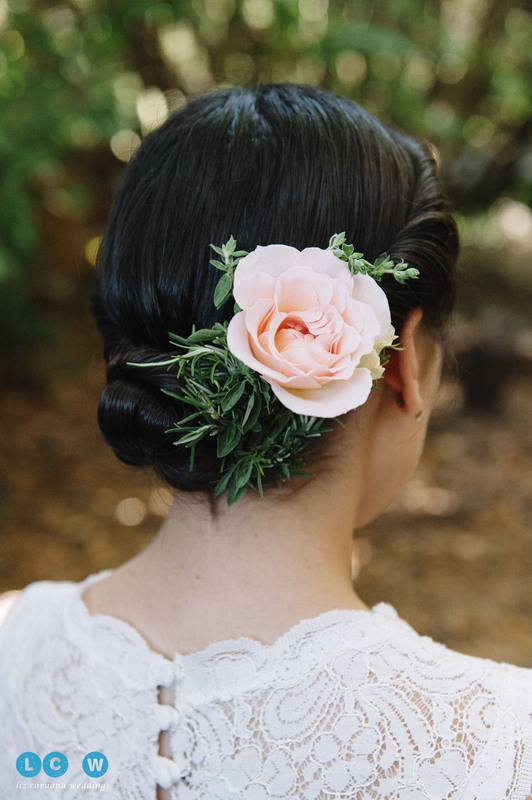 Sarah Gallardo is a master of the modern classic wedding. She is inspired by pop culture from all generations and especially loves planning for weddings that have a 1940s feel. She is incredibly organized but also laid back which is great a quality for her clients. There are a few spots to choose from. In the Harmon Observation Tower you get 360-degree panoramic views of the city. This is a great spot for a cocktail reception, it holds 150 guests for a standing reception. Or there are several different sized event spaces on the concourse level, like the Piazzoni Murals Room, which seats 130 guests. Another option is to have your ceremony in the sculpture garden, and then rent out the cafe for dinner and the terrace for dancing. If you’re going big, the most popular choice is Wisley Court, which holds 400 seated guests with room left for dancing! You can even rent out art exhibitions if it suits your style! Of course as a photographer my favorite part of de Young weddings are all the great places for photo ops! The grand staircase is an amazing spot for bridal photos, and the architecture and light all throughout the museum are totally gorgeous! They rent event space out for 4 hour blocks between 6:30pm and 1am, although daytime rental can be available sometimes during regular museum hours. Contact their event staff to make arrangements for your dream wedding! Have you ever been to Launch For Hire for a wedding? It’s a pretty special place in Inverness California. 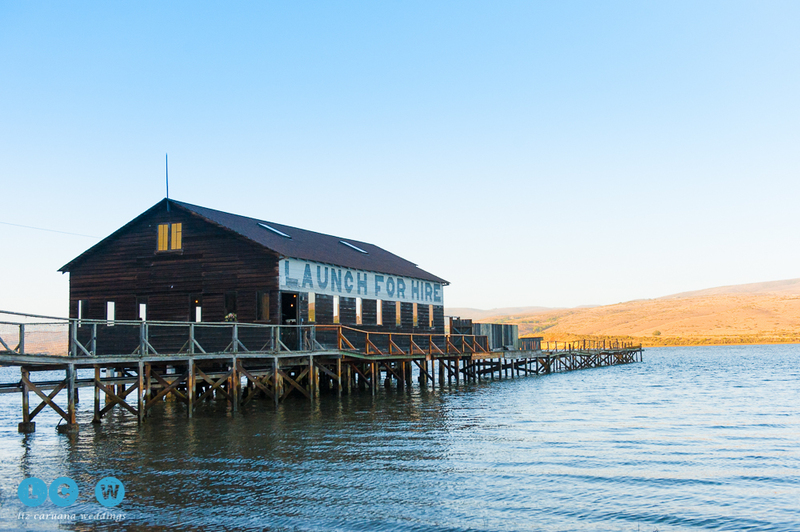 If you’re a fan of driving up the coast, stopping for oysters, or sitting and basking in the sun Launch For Hire is for you. Pali and Luke met many moons ago at summer camp. In fact they met a summer camp on the East coast and have such an affinity for California that they came here to be married. Luke knew exactly what great things the Russian River had to offer, most notably the Russian River Brewing company. He and his groomsmen picked up a case of the famed Pliny the Elder to toast pre-wedding and kick and nerves or jitters. Pali got ready with her bridesmaids and was adorned head to toe in a beautiful lace dress. Her bouquet was created by Luke’s brother who is an interior designer as well as a budding florist. Luke’s Suit was a deep navy and his shoes were from the great craftsmen at Allen Edmonds. The ceremony itself was held on the dock overlooking the water with just a handful of their closest friends and family. Their flower boy was the absolute sweetest as he launched petals in the air and at the guests. If there was any wedding’s dinner I wish I could relive it is this one. The food was just out of this world. The cocktail hour had fresh strawberries, figs, dates, tomatoes, cheeses, breads, and more and more and more. Take a look at the photos to see how scrumptious their food looks. It was no surprise that there were great games to play at the reception. Boardgames, cards, and even bean bag toss were part of the the post ceremony festivities. These two just love to have fun and what better way to keep joy in life and in marriage. Congratulations Pali and Luke. I wish you all the best in your lives together. Did you just recently get engaged and are looking for the perfect photographer to capture a few pre-wedding moments between you and your fiance? There is no more romantic place to spend the afternoon than the Japanese Tea Garden in Golden Gate Park. I asked Alyssa and Kyle to send me photos of what their outfits were before the shoot to ensure that we were photographing in the most optimal location to show them off. We had a quick wardrobe swap out pre shoot as a few of the outfits were to light in shade or had distracting patterns. Luckily since I take such great in care in the planning process I was not surprised when they brought out their outfits. After we strolled through the Japanese Tea Garden we walked over to the Music Concourse and Stow Lake and took some stunning photos of them on the bridge and on the island. The light was just amazing that day and as you can see from the photos the two of them were beaming with love. Thanks so much for a great shoot Alyssa and Kyle and I look forward to your wedding day.